Down with the alt-write illiterati! TO call me a feisty presence online would be fair, I guess. I don’t suffer fools gladly and often break the wise rule of not feeding the trolls. I just can’t help it. They are invariably so stupid that just criticising their grammar is enough to send them into a mom’s basement tailspin. I don’t understand why they are so consistently illiterate. Even if they only have an IQ in single digits they must have spellcheck. My theory is that they believe spellcheck is an instrument of the ‘deep state’ being used to control them. This would not be unusual. They believe a lot of strange things. Following on from Donald Trump talking about a terrorist incident that never happened in Sweden, this rather lovely Scandinavian country became the latest alt-right bugbear. A lot of their concerns focused on the city of Malmö — a place I’ve visited several times. I know Malmö for having a lively music scene and a rather marvellous two-Michelin-star restaurant called Vollmers. The alt-right trolls have a very different perspective. Many of them (mostly based in Alabama) are convinced that the Swedish city is under sharia law and that inhabitants are being gang-raped by Muslims in the no-go zones of the city. This, of course, is bulls***. One British Milo (the poster boy for the alt-right) wannabe even offered to pay for flights and accommodation to any journalist who was prepared to say that Malmö was safe and would agree to go and stay there. Me and several hundred other journalists jumped at the chance of a free trip to Sweden paid for by a keyboard warrior unhappily residing in the Islamic Republic of Battersea in London. He panicked and was forced to pay for one journalist, but refused to pay for all the others eager to take him up on his paranoid and hateful claims. I kept tweeting him to let him know that I had tickets booked and wanting to know was he going to pay? I even offered to go economy if money was the issue. After about six tweets he was finally ‘triggered’ (one of the innumerable phrases like libtard, cuck and snowflake that make up the fun game of Alt-Right Bingo!). Mini Milo posted a meme of me saying that I was in favour of immigration but lived in The Cotswolds, which was 98 per cent white. I had to laugh. He had clearly never braved the mean streets of Gloucester or tried to source hemp from dealers in the sordid back lanes of Stroud. It’s impossible to argue with these idiots. 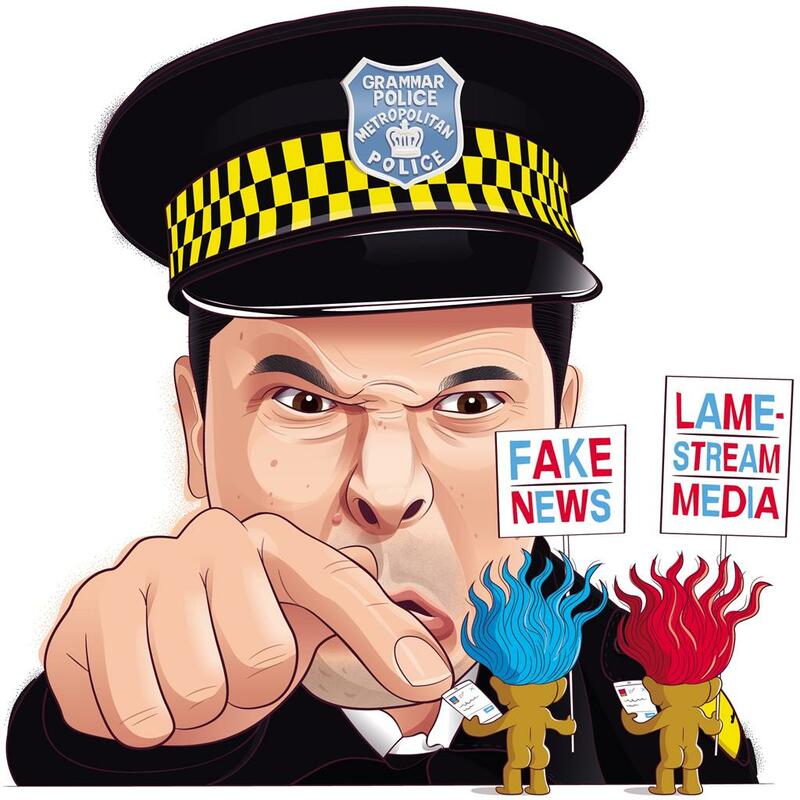 If you put forward any facts they scream ‘Fake News!’ and claim that you are working for the ‘Lamestream Media’ (Bingo!) The tragedy is that the occasional valid point from the ‘Trumpers’ is lost in this online cauldron of fearmongering, hate and ignorance.